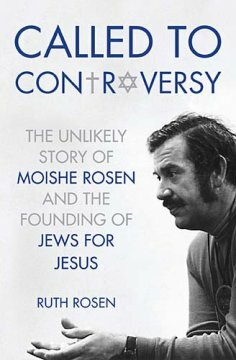 In “Called to Controversy” Ruth Rosen tells the story Moishe Rosen, the founder of Jews for Jesus. He also happens to be her father. His mission work to reach fellow Jews with the Gospel of Jesus Christ got him a lot of attention, and not all of it was flattering. Many in the Jewish community labeled him a heretic. Some denied he was even really Jewish, but Moishe pressed on with his mission. He brought Jewish outreach into the spotlight and helped train many others in taking evangelism to the Jews. One would think that a biography coming from Moishe’s daughter to be a bit biased, but this biography presents both his strengths and his flaws. It discusses his successes and failures, as well as regrets. Ruth says, “Moishe knew it was important that his biography be quite clear that he was flawed. He wanted the world to know that God does not need people to attain a level of perfection to be used for his purposes.” What really sticks out, showing where Moishe’s heart truly was, is the fact that this biography covers his entire life, but his mission work is present for most of the book. Moishe Rosen’s life goal was to see the Jewish people, his people, come to Christ. You can find out more about the Jews for Jesus organization on the official website. I received a complimentary digital copy of this book for review purposes from BookSneeze.